We are here to Enjoy Life! Become a Psychosomatic Therapist and learn how to Empower yourself and your Clients! Become a practitioner with this dynamic, nationally accredited training conducted in Hobart Tasmania. Complete twelve days training and follow-up log book to gain a Certificate III qualification. Insurance is available through OAMPS and you will have the professional body of INTAPT (International Association of Psychosomatic Therapists) to support you. Soul Embodiment Certificate III in Psychosomatic Therapy training offers you the choice of becoming a Soul Embodiment Psychosomatic Mentor and Therapist. It is the only fully accredited training of its type in Australia. With this intense training you can unleash the exceptional teacher, healer or mentor that you are and be up in practice within 6 months of initial training. Or simply attend for your own personal development! The training is very experiential and you will be receiving personal therapy and growth throughout your training. It is hands on. Where you learn how to read the emotional anatomy and language of the body. Face, body, feet and hand reading as just some of the tools. Understand and releasing issues in the tissues with practical methods that provide outstanding sustainable results fast! The aim is to understand how to be fully present regardless of what is happening in the world and see the gift in each moment. This is no average course - there are no desks, text books, computers or long lectures involved! Psychosomatic Therapy becomes a way of being, by understanding the fundamental qualities of balance, focus and structure so that you are able to become your own therapist. Change at the cellular level. As a Soul Embodiment Psychosomatic Mentor, you get paid to empower others to increase their Divine Feminine & Divine Masculine energy, their courage, and their ability to ‘own’ their value and unleash their hidden metaphysical gifts embedded in their body. Freedom comes when you are ready to allow yourself freedom – to become the truly exceptional being you truly are. To truly help others you must put your own development first then you lead by example, by walking your talk. Others will naturally follow your lead. Our world is in desperate need of powerful role models. Those who have the courage to live and speak their truth. Is this you? What will I get out of the training? Transmutation!! A new way of being that will help you thrive in any situation. Acknowledge what your story has been, then leave it behind as you birth your true story, the story you wish to live from now on. Attract and ignite the spark that creates juicy, sensuous relationships you truly desire, the financial abundance and career you want, and the pure joy of living your life on purpose with passion! Deconstruct old beliefs and discover the merging of science and spirituality to construct a whole new life. Deep dive into the intuitive wisdom and knowledge within you. Learn to access the innate wisdom and language of your body with Soul Embodiment and Psychosomatic Psychology. Decode and unlock the keys held within the liquid matrix of your Bio-Field and DNA. During this life changing course, we will get rid of unnecessary programs and beliefs easily and quickly - and I mean really fast - while teaching you how to do it yourself. The Journey - The course is conducted over 2 6 day intensives to ensure the deep dive and embodied change. Level 1 - Soul Discovery - 6 days (residential optional) - Learn the tools of Body-Mind Communication, body talk and body awareness. Clear trauma, beliefs and blocks. 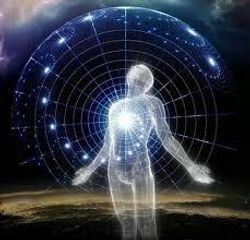 Awaken to your blueprint, design and your true purpose written in your body. 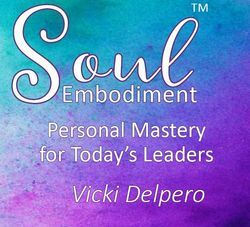 Level 2 - Soul Embodiment - 6 days (residential optional) - Now consolidate what you have learnt in level 1. Put the tools into practice, Go deeper. Understand why people are the shape they are and the deeper soul. Become the practitioner if you wish. Option - Certified Practitioner on the completion of the logbook. Not 1 but 2 Expert Trainers with a combined 40 years' experience in the transformational industry for the price of one. Only 4-6 participants - ensuring a deeply personal transmutational experience. Plenty of focus on you! You get the unique, full live-in experience at Willunga Retreat just out of Hobart Tasmania. We love to show off our home town too. Registration includes shared accommodation for those traveling from interstate, airport transport and delicious vegan food - no extra expenses required! Monthly Zoom call follow-up and Continued Mentoring into practice as a Therapist. If you are looking for YOU, to be seen or simply another source of income with a fulfilling way to empower people, this is for you. We live in dynamic times of great change and upheaval. Everything seems to be in flux. Nothing is working anymore like it used to. Many people have lost their balance (and their cool too!). Their old ways of doing things lead nowhere. Even well-established experts and leaders are going through a crisis of meaning. Now is the perfect time to finally remove constraints, trauma, blocks, whatever is stopping you from leading a joyful life. As challenging as this is, it is an extraordinary time to rise up. In fact, it’s the time we’ve all been waiting for! This is our start signal to take the reign of our own sovereign leadership, and yet so many of us are dragging our feet and doubting our powers. The Golden Age is at our doorsteps, knocking. Meanwhile, we’re busy stressing over mundane stuff that no longer works the “way it used to” instead of opening the floodgates! Are you ready for the ultimate in life change and personal discovery! Gain quick insight into your client’s core issues at a glance. Transform clients profoundly and quickly. Achieve greater results with less intensity of energy. Let go of stress, tension and discomfort before they become disease. Connect better with others whilst being authentically you. Understand what emotionally triggers you and how to stay centred and respond from a clear and neutral place. Discover and eliminate habits that no longer serve you. Gain greater clarity as you go about your daily life. Change your posture to support a more confident, successful you. Find your passion and vitality. Discover who you really are and love all of you. Ever wondered why you behave the way you do? Would you like to develop positive behaviours that bring you harmony and peace? Are you allowing yourself to be driven by your mind rather than your heart and inner knowing? During training you will learn to recognise the difference between creating from your heart or reacting from your mind. As you develop focus, balance and structure you will begin to accept yourself as the complete being you already are. Face reading is a doorway to self discovery. So much about you is written in your face. Not only will you learn greater depth about yourself, but you will learn how to read, understand and accept others for who they truly are. Recognise your assets and understand your challenges. How easily do you express your true feelings? Do you hide your true potential? You have created the vehicle that is your body, so why not love it and learn to understand and trust what your body is telling you? Your body shape, size, posture, body language - every part of your physical body provides clues to your life experiences and the emotional baggage you carry with you. Imbalance between body, mind and soul can create conflict and pain. When appropriate attention is given to these imbalances the emotional pain is released, creating new behaviour, improved health and corrected posture, including spinal alignment. Every soul shows its uniqueness and identity through the hands. Your hands are an extension of your heart as you reach out, sense life and respond to it. Do you have long, sensitive intuitive fingers? Are your hands square and practical? How strong willed or flexible are you?